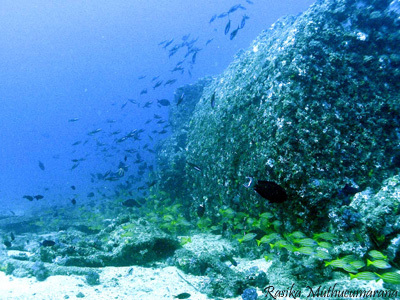 I am sending some photos of the Great & Little Basses wreck sites. 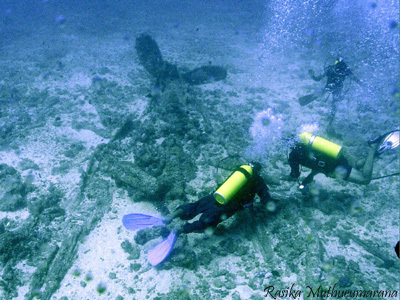 We were not able to dive on the silver wreck because of bad sea conditions. We did some recordings on two sites near the GB lighthouse and one wreck 5 km west of the Little Basses lighthouse. 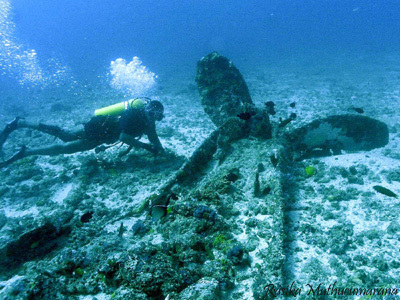 Bottle wreck – local people put that name because of glass bottle that can see on the wreck site. Clerk and Joncklass report this site in their books. Can see lot of Soda (or Whiskey) bottles on the wreck. Shallow site very close to the reef opposite to the silver wreck. 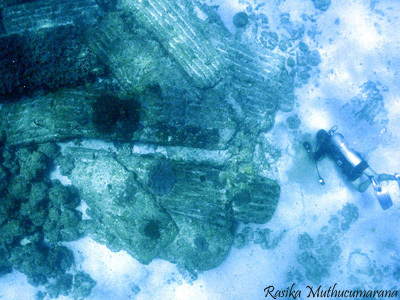 Rasika Muthucumarana is a Maritime Archaeologist/ Underwater Photographer/ Research Officer working for the Maritime Archaeology Unit of Sri Lanka, an Institute managed by the Central Cultural Fund in collaboration with the Department of Archaeology, Universities and other relevant institutes. 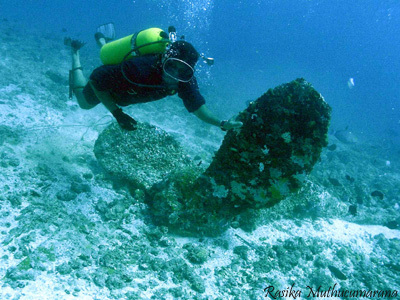 The MAU is the only institute which can legally perform underwater archaeological operations in Sri Lanka . Over the last fifteen years the department of archaeology and the Central Cultural Fund took the initiative to direct archaeology graduates from the relevant institutes and the universities towards maritime archaeology and conservation. 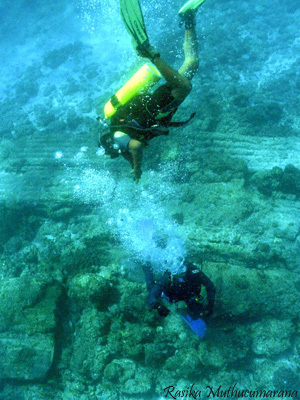 After many years of work in 2001,they managed to establish a small unit in Sri Lanka to protect our underwater cultural heritage. The team still has a lot to do. On one hand they have to be equipped with more statuary powers, funds and new technology and also enhance their own capacities. 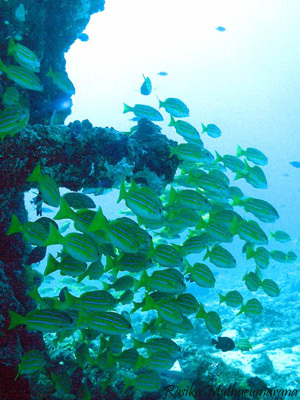 On the other hand they have to act fast to protect the underwater cultural heritage, which is at risk. Apart from the treasure hunters and the looters the unit faces a huge threat from iron collectors. Breaking and exploding steel shipwrecks to take out the iron has of late become a very profitable business in Sri Lanka . At the moment the unit is trying to stop this by using the law pertaining to land archaeology. They are also trying to ratify the new UNESCO 2001 convention. At the same time the unit is documenting the wrecks in danger with the help of the local diving community. At the moment the unit is consist with 7 archaeologists and two conservators.